Silsila Upcoming series of twists. Veer questions Ruhaan about his lover. Ruhaan and Mishti get into a moment of worry when Veer jokes around. Veer asks Ruhaan to keep his secrets to himself. He asks Mishti did she meet Ruhaan’s lover. Ruhaan tells him that he doesn’t have any girlfriend. Veer has no idea that Ruhaan likes Mishti. He tells them that he will find whom he loves. Ruhaan rushes away to end the discussion. Veer finds Mishti getting irritated. Mishti tells Veer that they shouldn’t interfere in Ruhaan’s life. Veer tells her that he is Ruhaan’s close friend and knows him well. Mishti doesn’t want Veer to spy more. Veer tells her that they will select the cards. Mishti gets into guilt and doesn’t want Ruhaan to come between Veer and her. She doesn’t want to know what emotions Ruhaan holds for her. She prepares herself to stay away from Ruhaan. She doesn’t know why she is feeling Ruhaan around all the time when he isn’t. She doesn’t know what meaning to derive from such feelings. Ruhaan stays in her memories. Pari tells Mishti that she has increased the budget and asked the client to cancel it if he doesn’t want to agree on their terms. Mishti asks Pari not to threaten their clients, so that they balance the work. Pari takes up Ruhaan’s advice and wants to bring her individuality into her projects. She worries that client may cancel the deal. Mishti asks her to wait for the client’s call. The client accepts Pari’s conditions and finds her very daring. He likes honest and hardworking people. He praises Pari. He tells Mishti that he is at profit to work with true people. Mishti gives the good news to Pari. Pari thinks of celebrating the business deal with Ruhaan, since he has encouraged her to be her true self. She takes a bottle of champagne for him and expresses her happiness. Mishti finds them together and gets upset that Pari didn’t keep her word. Pari doesn’t want to upset Mishti by going against her. She asks Mishti to join them in the celebration. Mishti tells her that she had come to give the same good news, but maybe she doesn’t fit between their moment. She asks Pari to celebrate with her new found friend. Arnav is hesitant to tell his feelings to Pari again. She asks him to end Pari’s commitment phobia and express his love. She asks Arnav to tell I love you to Pari and become her boyfriend, so that Pari values him more than a friend. She is sure that he will keep Pari happy. She tells him that Pari has a right to know his feelings. Arnav fears for the rejection. She asks him to stay motivated and not get afraid for any negative response. Arnav asks her not to tell Pari about his feelings. Pari tries to surprise Mishti and make up to her with a sweet apology. 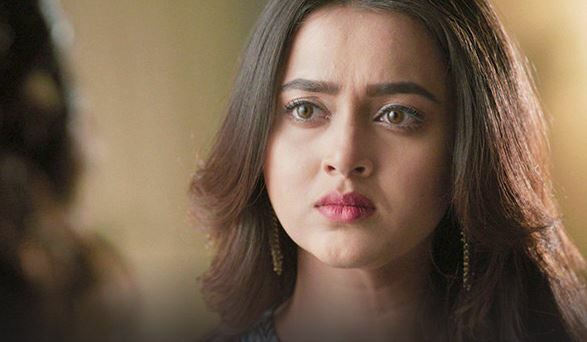 Mishti melts her heart for Pari, but is much angered at Ruhaan. She doesn’t want Ruhaan to bond with the family in any way. Pari asks Mishti about the guy whom she kissed in the dare given by Sukamini. Veer overhears the girls talk and asks Mishti how did she fulfill the dare. Mishti gets speechless to answer Veer and name the guy in the dare, Ruhaan.